London- Iranian Revolutionary Guard’s notorious special task force commander Qasem Soleimani reiterated his defense of the Syria war Iran is fighting at his comrade-in-arms Hossein Hamadani’s memorial service. Qasem Soleimani is an Iranian senior military officer in the Army of the Guardians of the Islamic Revolution (IRGC) and commander of its Quds Force—a division primarily responsible for extraterritorial military and clandestine operations. 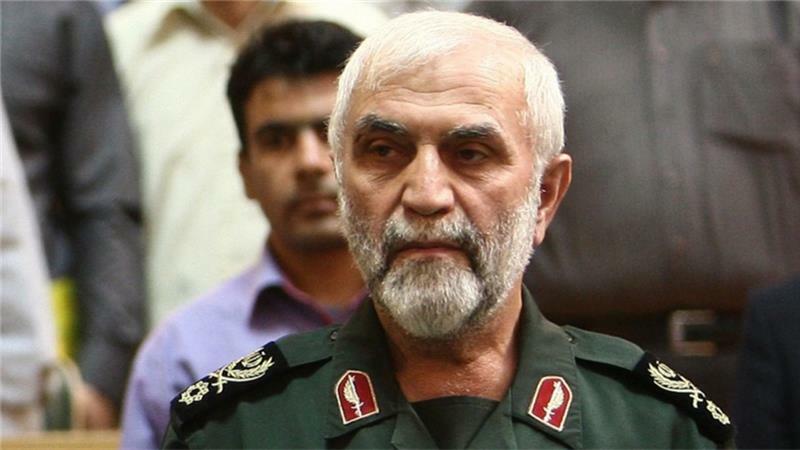 The late Hamadani had been the head of IRGC’s Rassoulollah Corps, in charge of Greater Tehran from November 2009 until January 2014, and had been subject to international sanctions since 14 April 2011. Hamadani built his reputation during the 1979 Kurdish rebellion in Iran and the Iran-Iraq War, where he helped suppress a rebellion in Iranian Kurdistan. Hamadani was later killed in action, in Syria’s Aleppo. Soleimani added at the memorial that Iranian forces do not defend Bashar Al-Assad’s regime in Syria alone, but the interests of Iran itself. Assad is the regional representative of Iranian national interest, he said. In his speech at Hamadani’s service, Iranian military commander and advisor to Iran’s Supreme Leader Ali Khamenei, Yahya Rahim Safavi mentioned that the late comrade discussed the Syria war with Khamenei days before he died in one of Aleppo’s suburbs. Safavi defended Iran’s role in the Arab region, saying that getting involved in Syria, Iraq, Yemen and Lebanon falls in line with the cleric-led nation’s waged war against the U.S. based on orders from Khamenei. Soleimani revealed during Hamadani’s last meeting with the Supreme Leader it was evident how ‘bad’ the situation was in Aleppo. More so, Soleimani highlighted that Iran backs Assad’s regime, in return for Damascus having once stood by Iran during the first Iran–Gulf War, meanwhile all Arab countries had stood against Tehran. The highly controversial commander, Soleimani, also directed heated criticism to European countries for trying to force Assad’s departure.